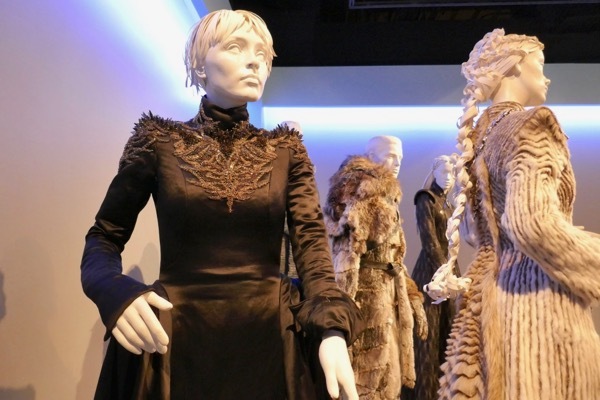 The seventh and penultimate season of HBO's Game of Thrones is Emmy-nominated this year for Outstanding Fantasy/Sci-Fi Costumes and these costumes from the television adaptation of George R. R. Martin's epic fantasy novels for those battling for the Iron Throne of Westeros were photographed on display at Downtown L.A.'s FIDM Museum on August 21, 2018. 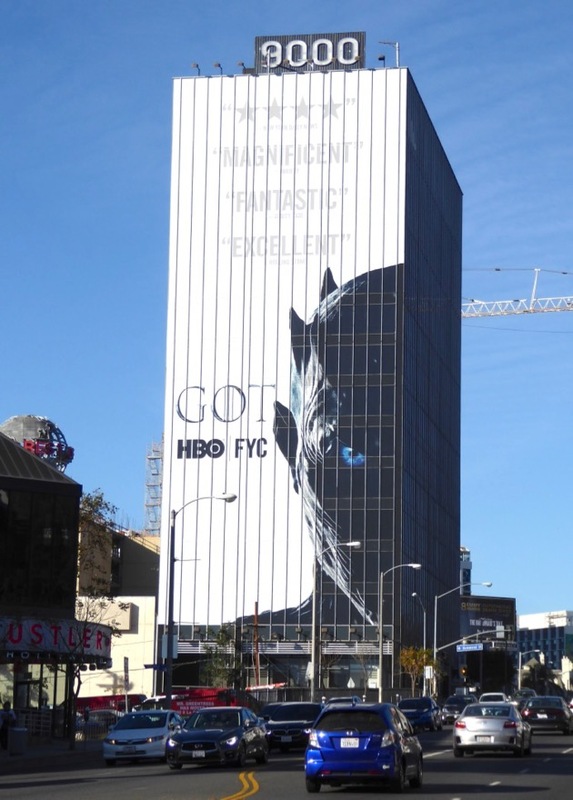 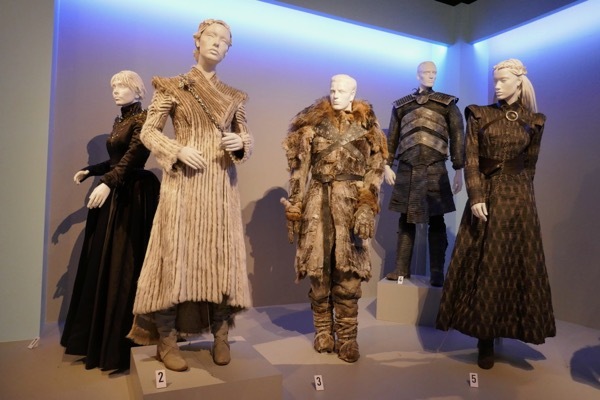 Michele Clapton is Costume Designer on the fantasy series for its seventh season and has already won three Emmys for her work on the show, and is once again nominated this time alongside Assistant Costume Designers Alex Fordham and Emma O'Loughlin and Costume Supervisor Kate O'Farrell. 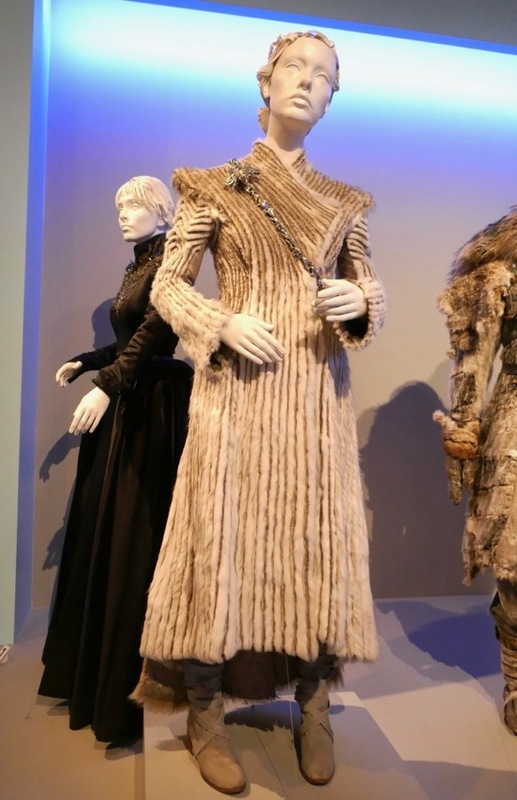 First up is a fantastic winter fur coat the 'Khaleesi' and 'Mother of Dragons' herself, 'Daenerys Targaryen' (played by Emilia Clarke), wears when she goes into battle with her dragons beyond The Wall. 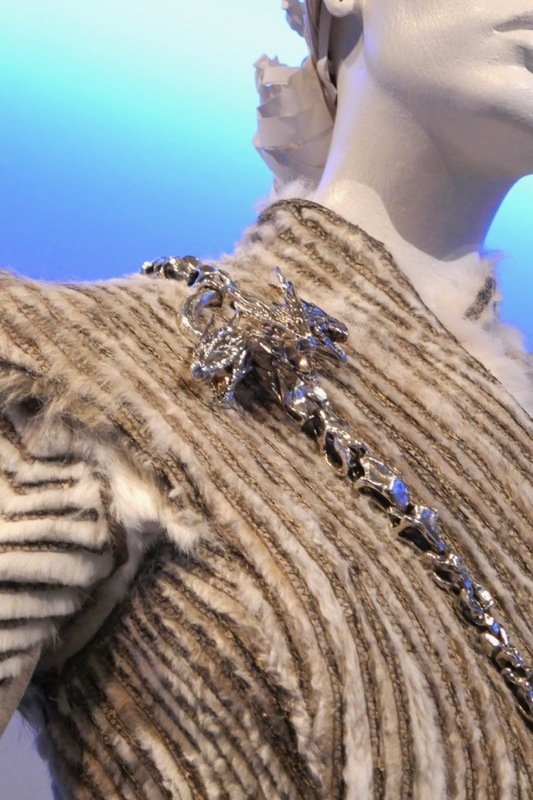 This look is made even more striking with the three-headed dragon chain jewelry it sports. 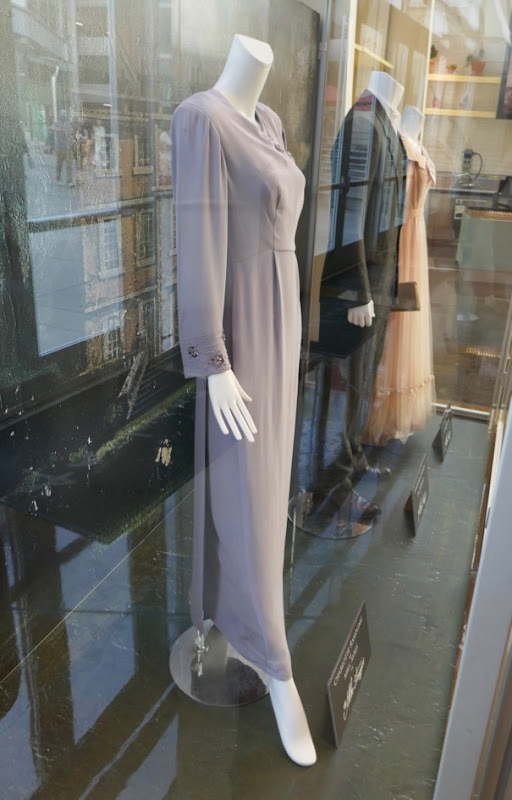 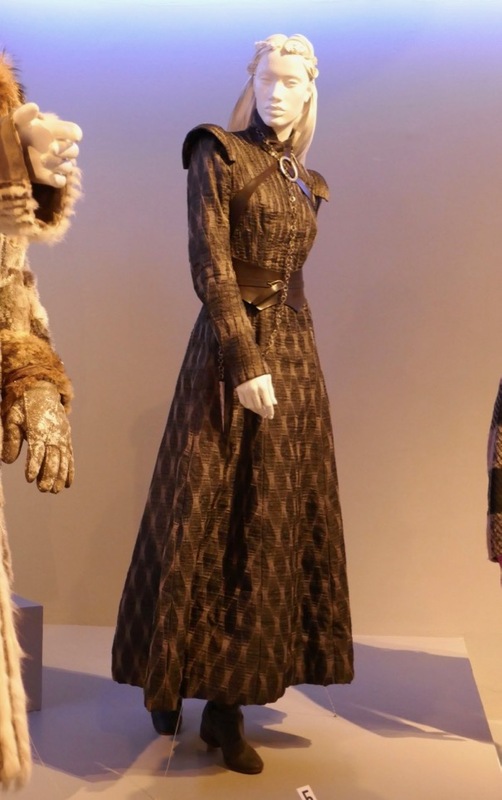 Fans of the actress can also check out her Qi'ra costume from Solo: A Star Wars Story on display. 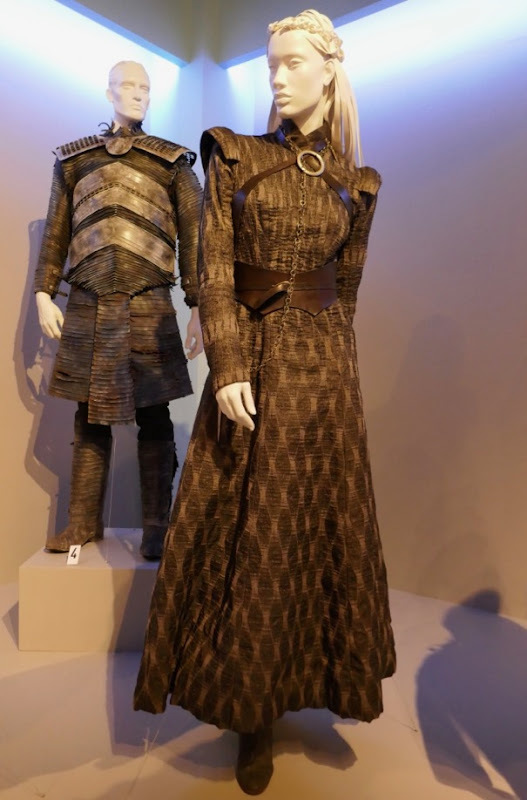 The look of Lena Heady's 'Cersei Lannister' has become even darker as the seasons have progressed, especially following the death of her three children and her grueling walk of atonement. 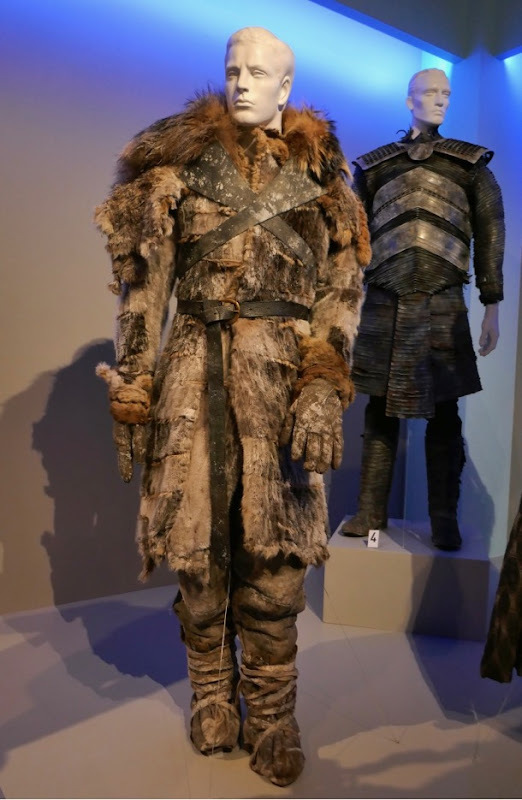 This bulky fur 'Wildlings' ensemble worn by Kit Harington may keep 'Jon Snow' warm in the North, but it sure looks cumbersome to move in, let alone fight in. 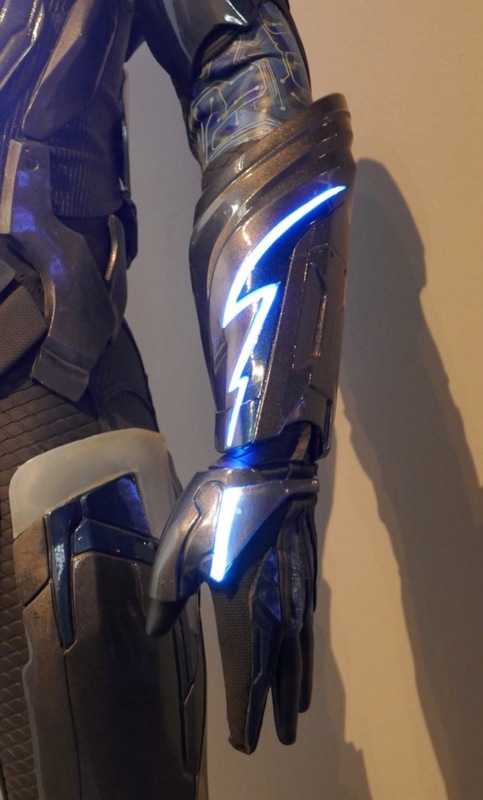 Fortunately we now know he has royal blood flowing through those veins. 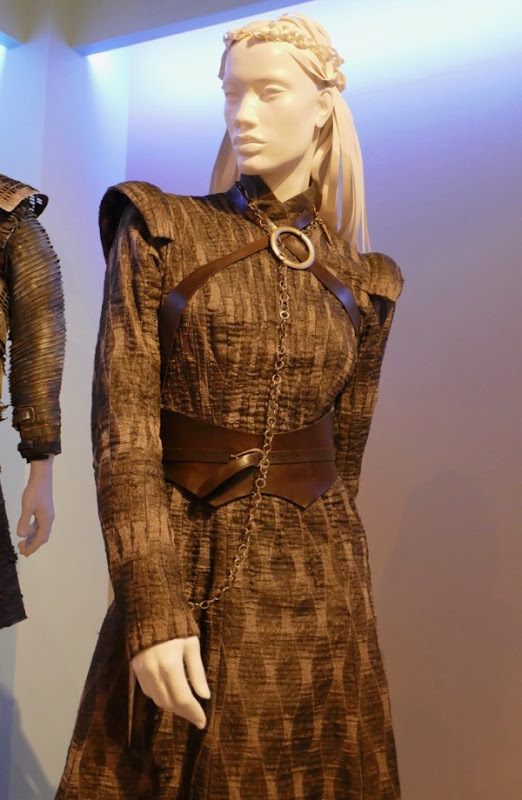 The eldest 'Stark' sister 'Sansa' (played by Sophie Turner) has certainly learned how to scheme and survive at the hands of Cersei, 'Littlefinger' and 'Ramsay Bolton' and looks very much the regent of the North in this look. 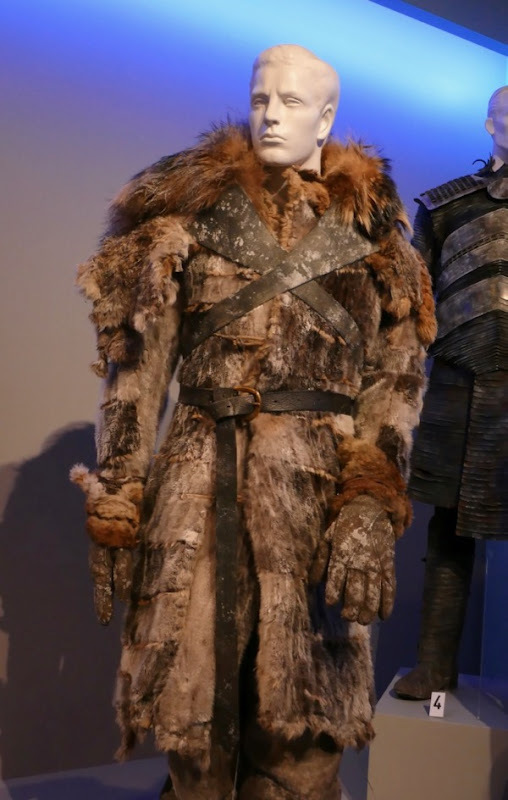 Can all the factions with claims to the Iron Throne put aside their differences and unite to protect everyone south of the Wall from the 'Night King' and army of undead and 'White Walkers'? 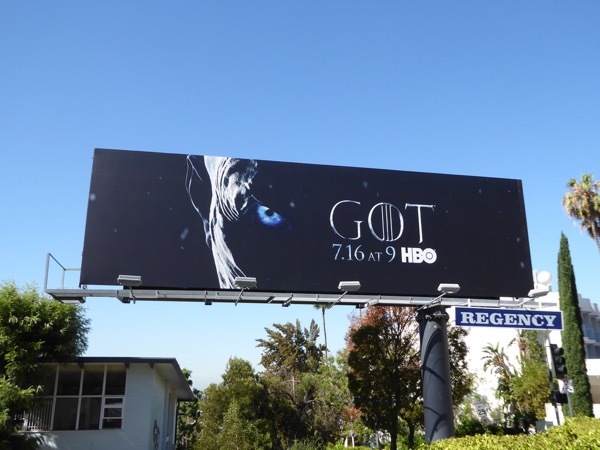 Winter isn't just coming, it's here. 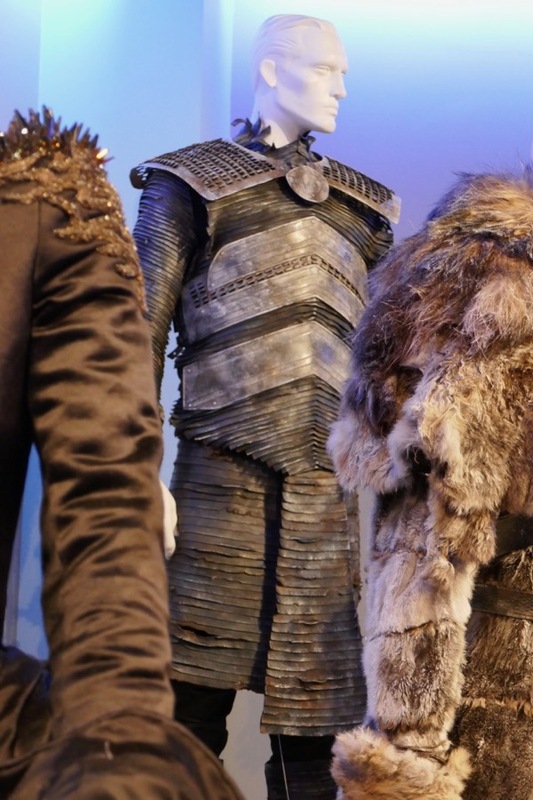 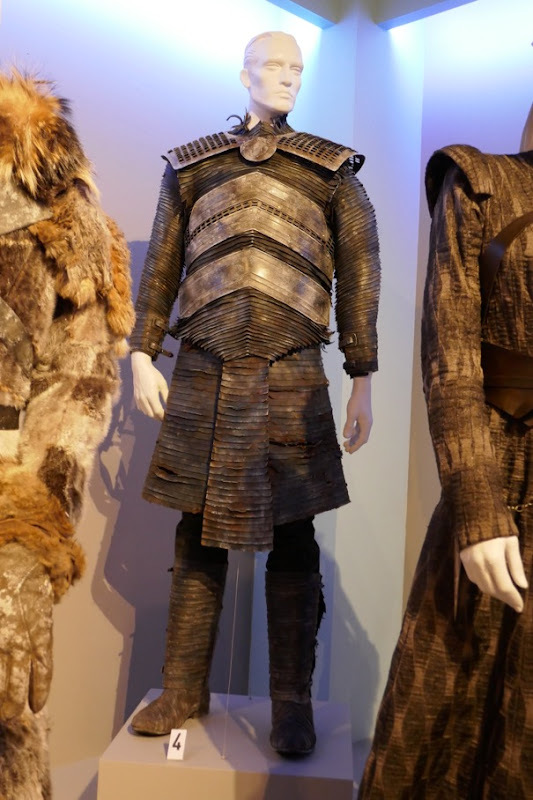 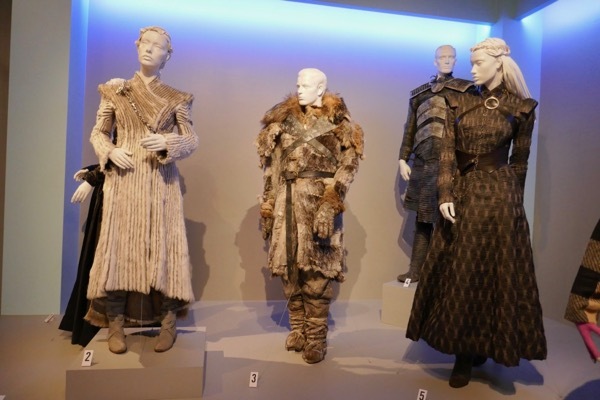 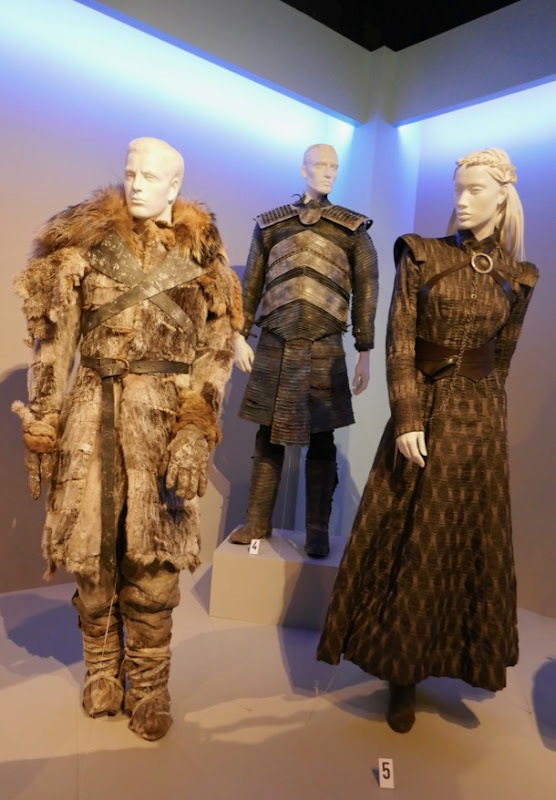 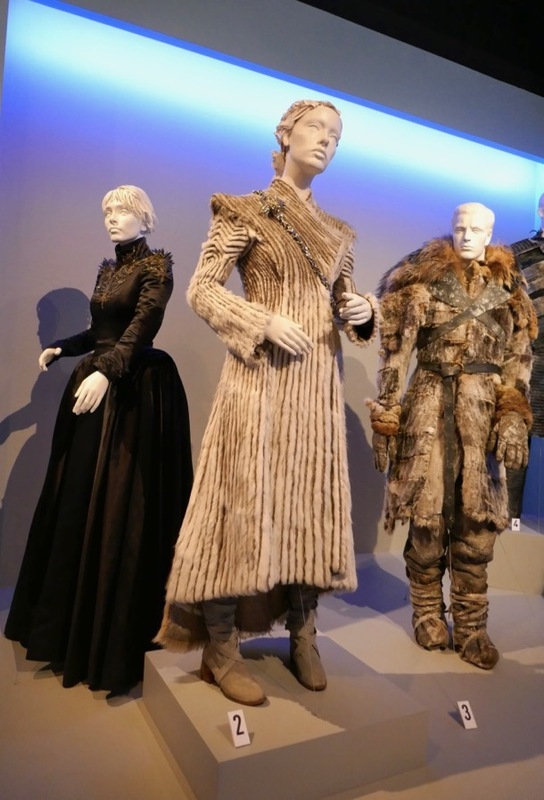 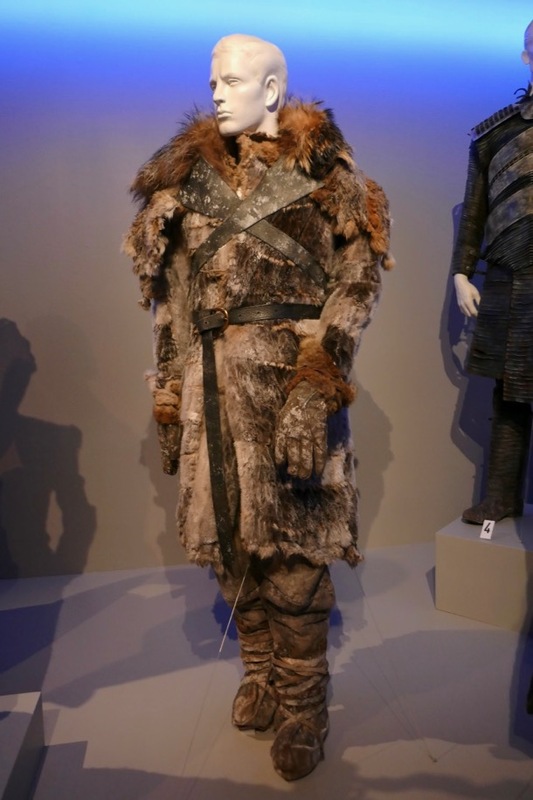 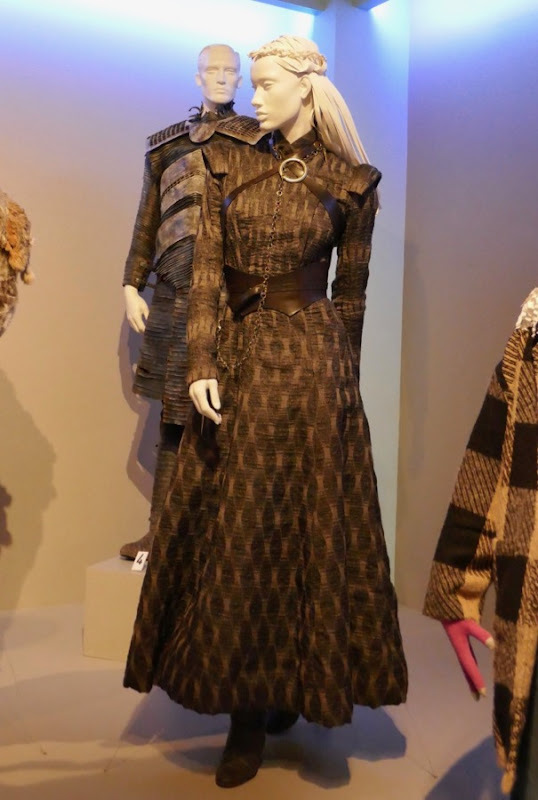 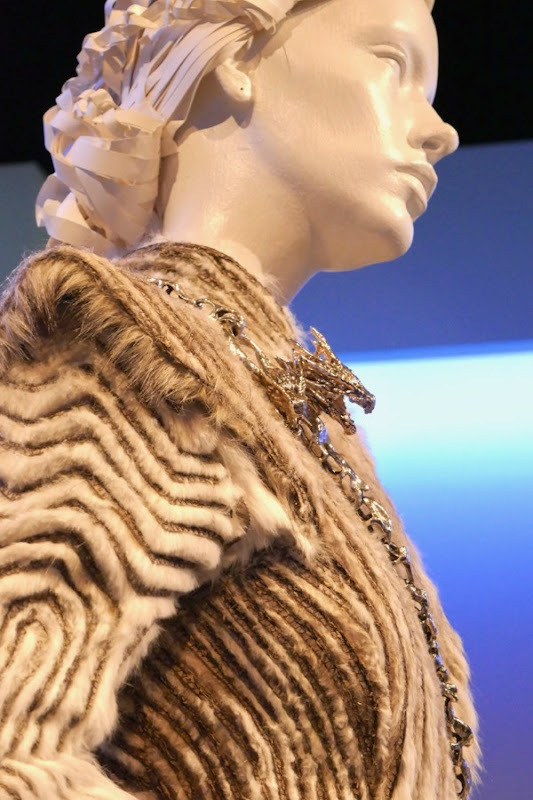 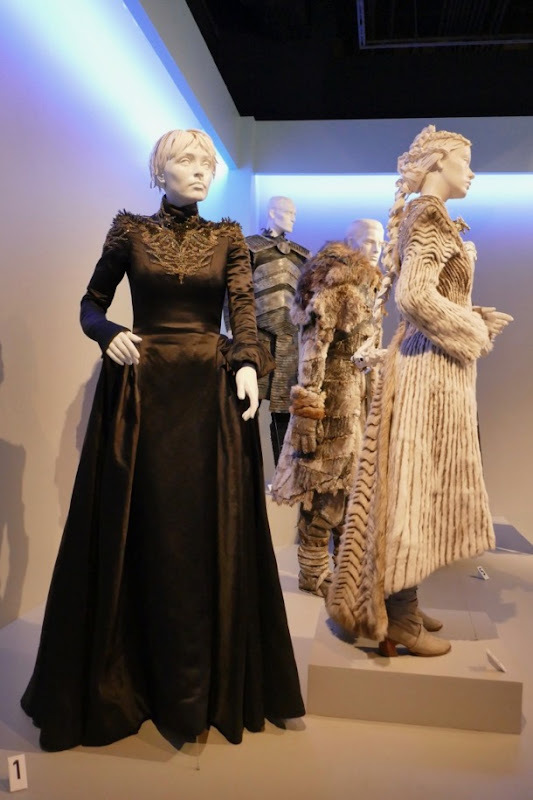 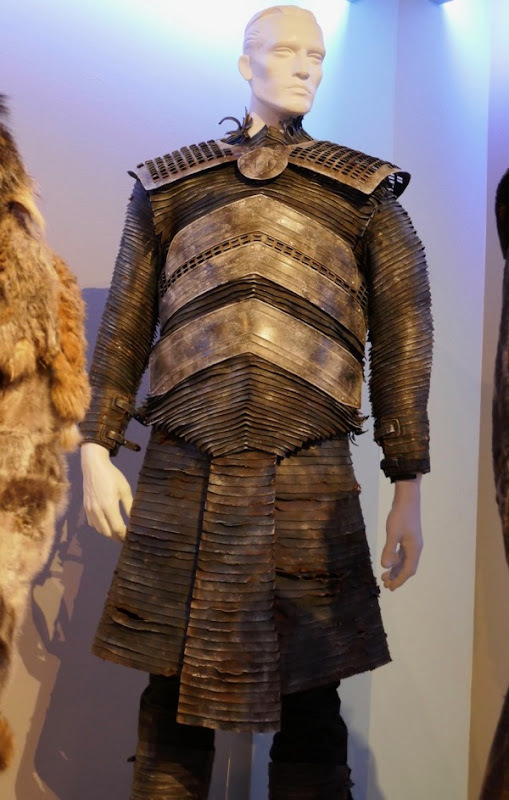 Fans of the epic fantasy series can also check out these Game of Thrones costumes from the sixth season on display at the 2016 FIDM Museum TV costume exhibit. 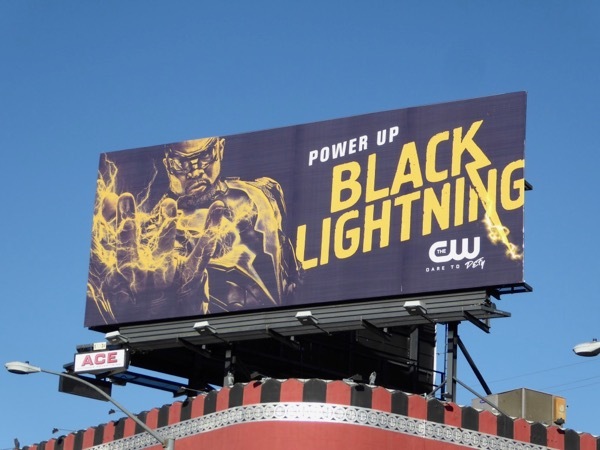 Last year The CW added yet another DC Comics superhero to their television ranks in the form of 'Black Lightning', played by Cress Williams and created by Tony Isabella. 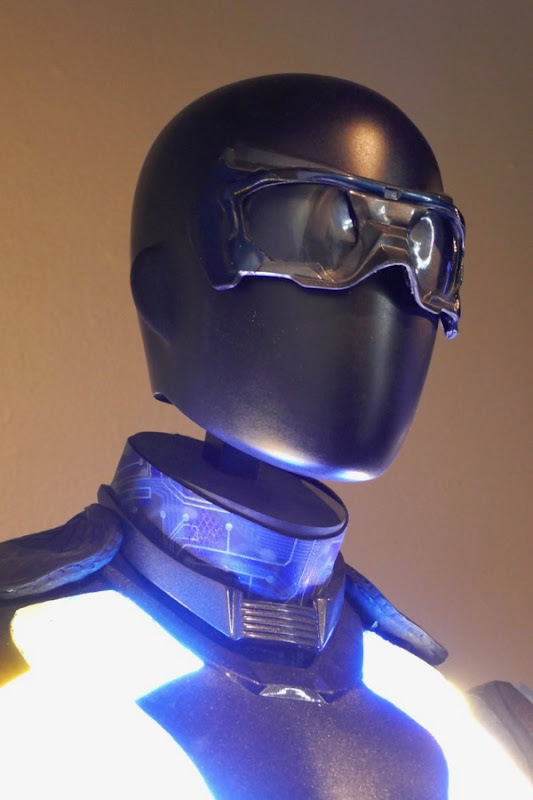 In his TV incarnation 'Jefferson Pierce' is a High School principal who has retired from the crime-fighting scene in the fictional city of Freeland, until his daughters are threatened by a local gang and he suits up as the electrically-powered vigilante again to save them and protect his community from the crime, corruption and conspiracies threatening it. 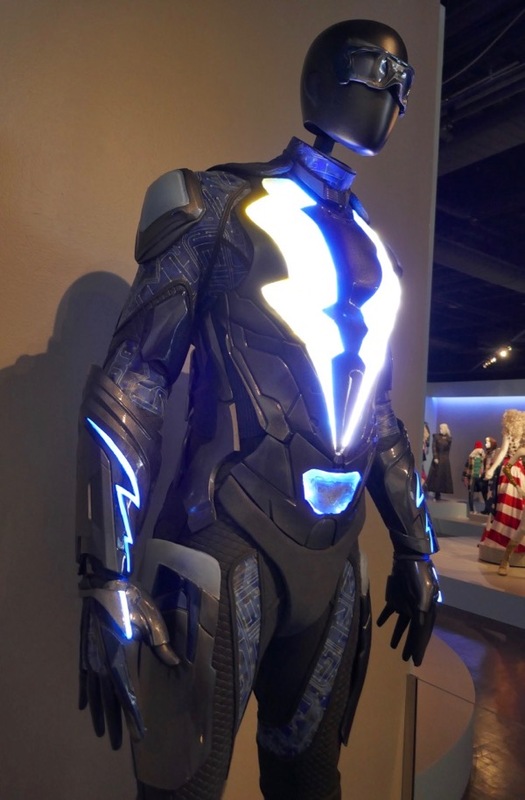 This illuminated suit was photographed welcoming visitors to the 12th annual Outstanding Art of Television Costume Design exhibition at Downtown L.A.'s FIDM Museum on August 21, 2018. 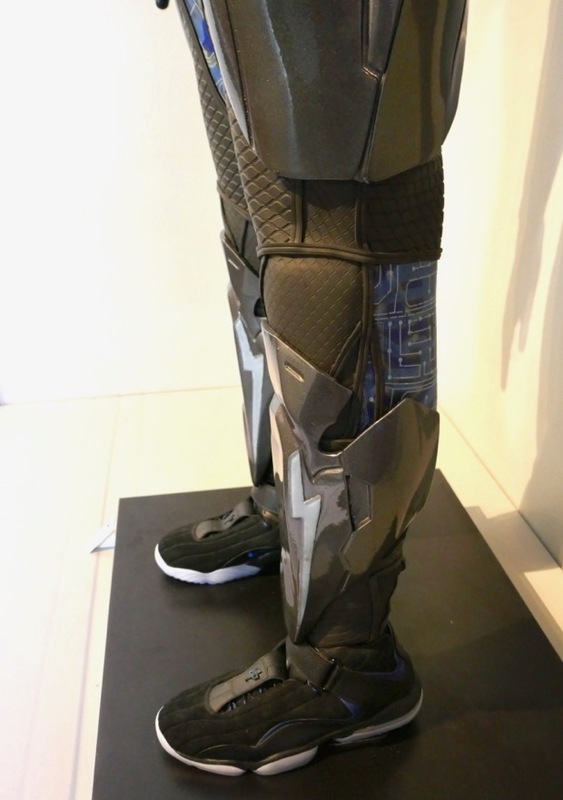 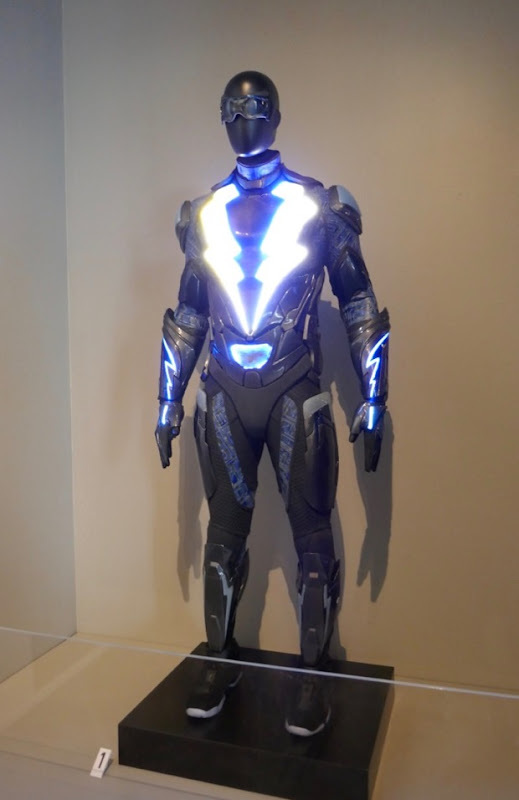 Laura Jean Shannon was Costume Designer on the black superhero series, with Assistant Costume Designer Sarah Mgeni, Costume Supervisor Michelle Margolis and Costume Coordinator Jenny Davis, with the super-suit built by Creative Character Engineering. 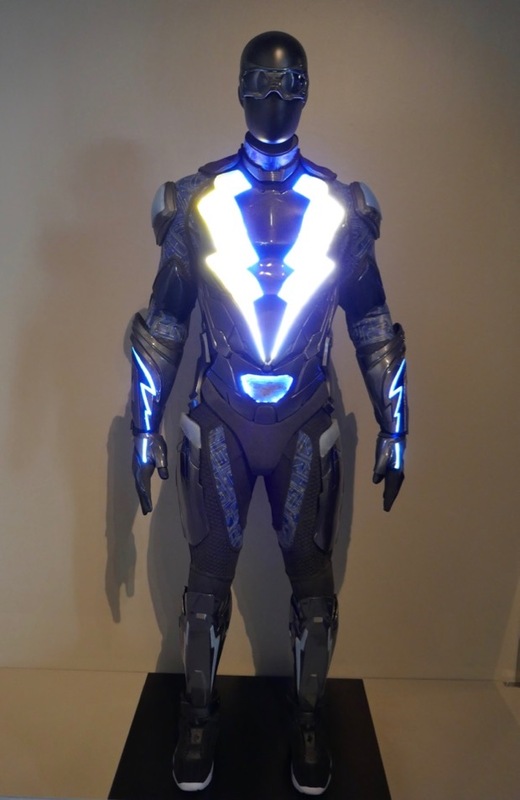 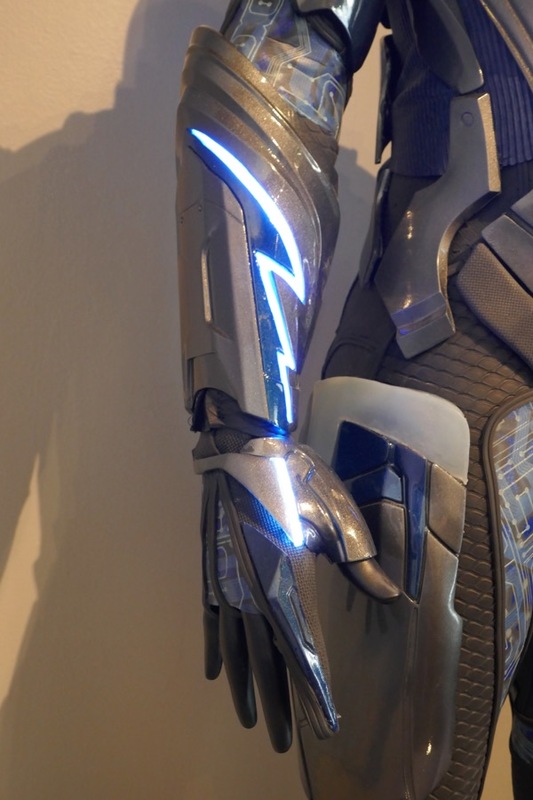 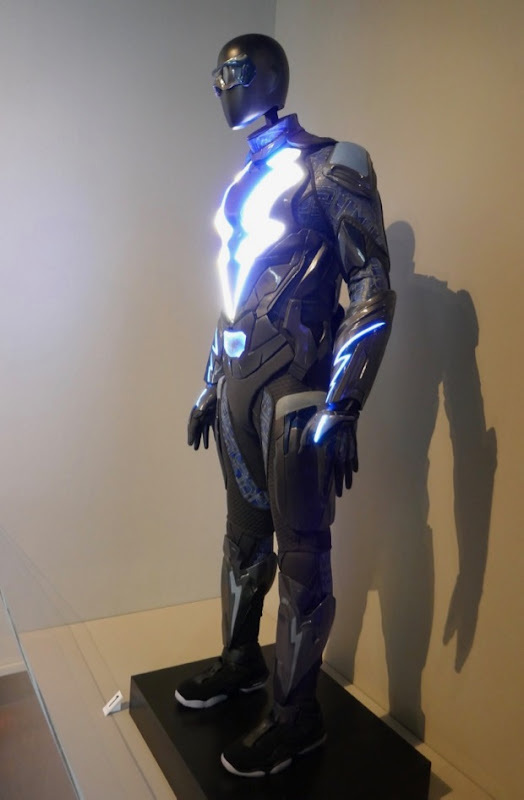 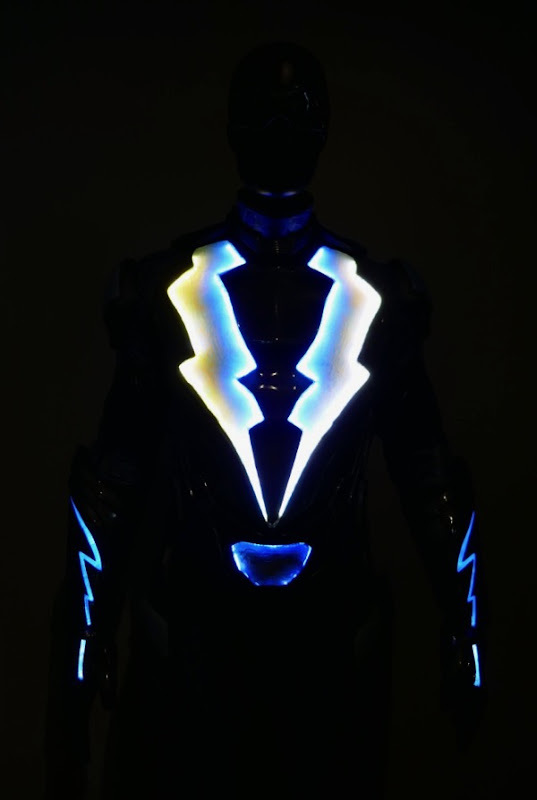 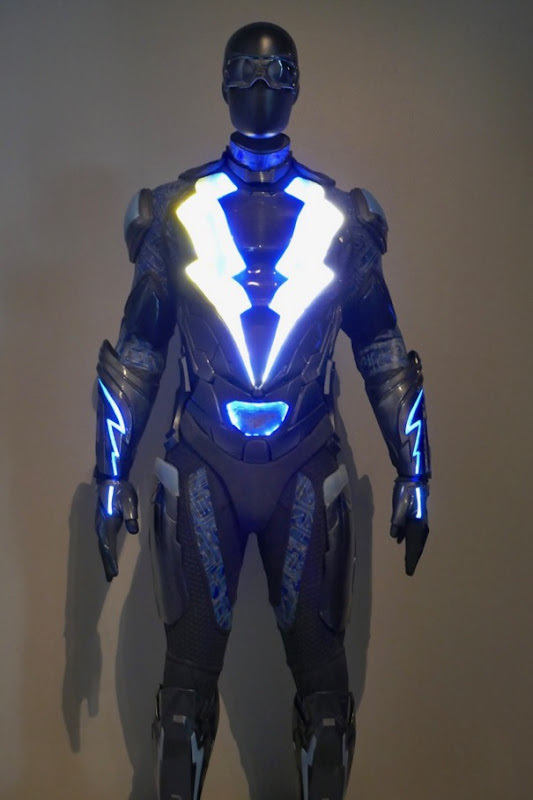 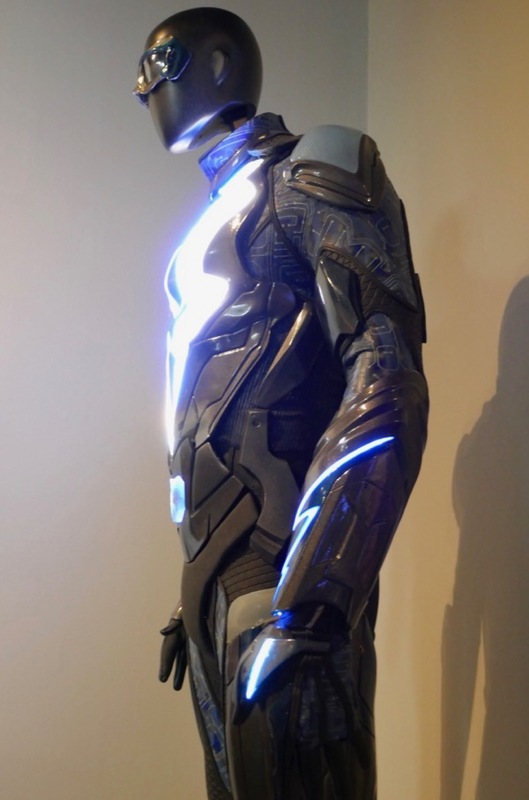 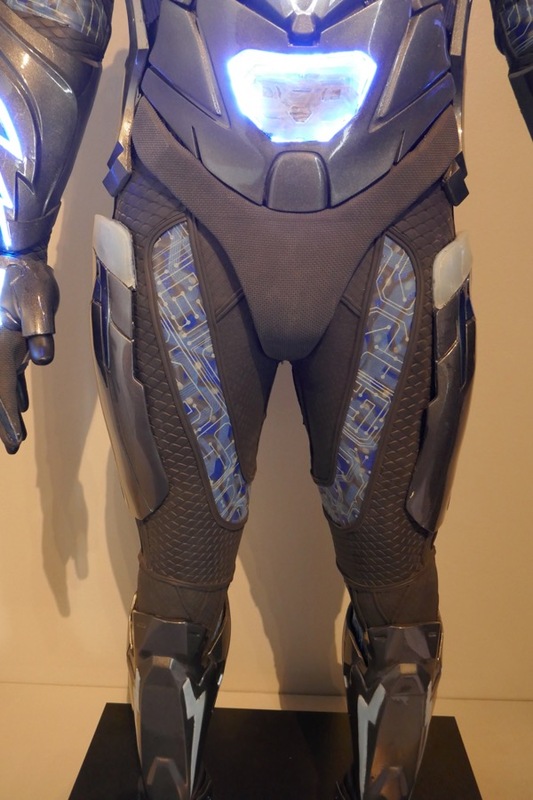 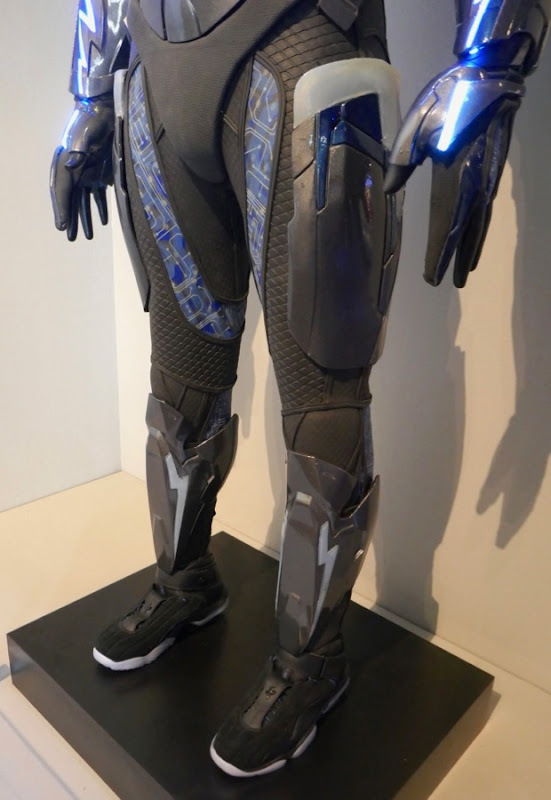 I love how you can see the Tron-like circuitry in the costume's fabric and there's something about the two lightning blots on the front of the suit that reminds me of the iconic comic book version of 'Black Bolt' from the Inhumans. 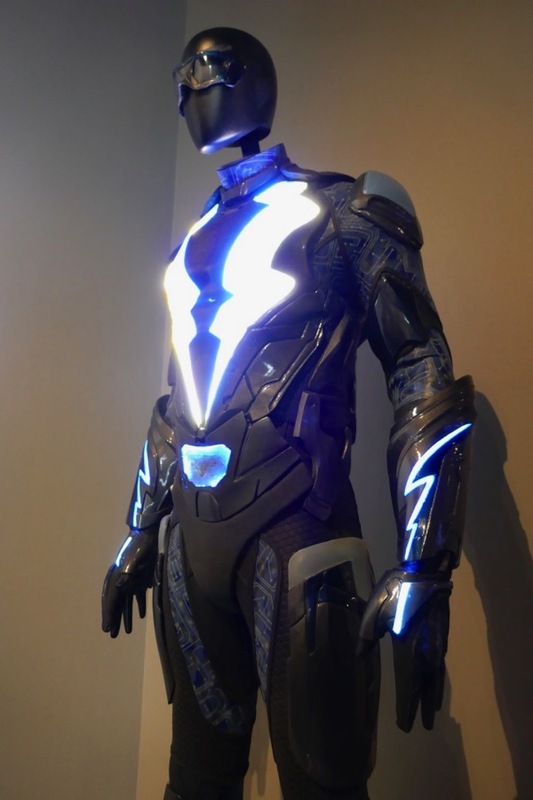 Fans of the DC Universe can also check out all these other DC Comics superhero costumes from the big and small screen. 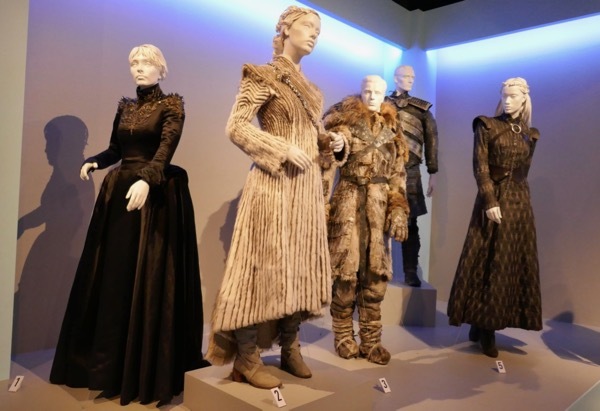 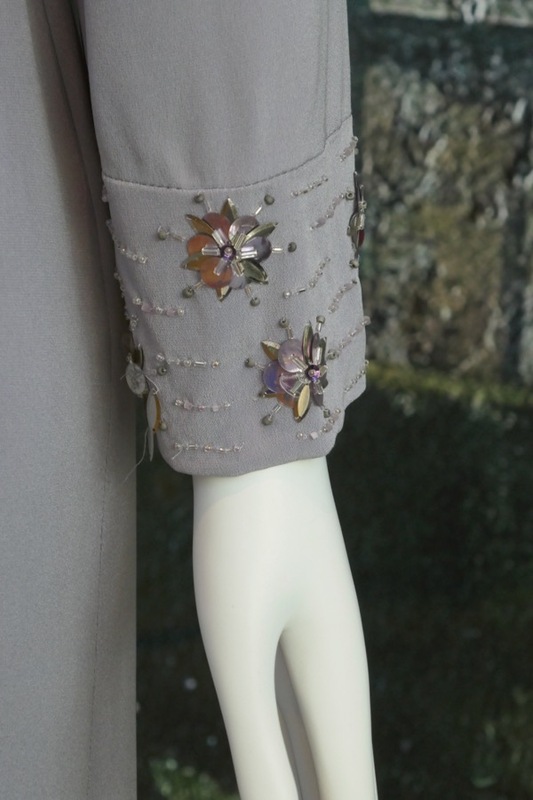 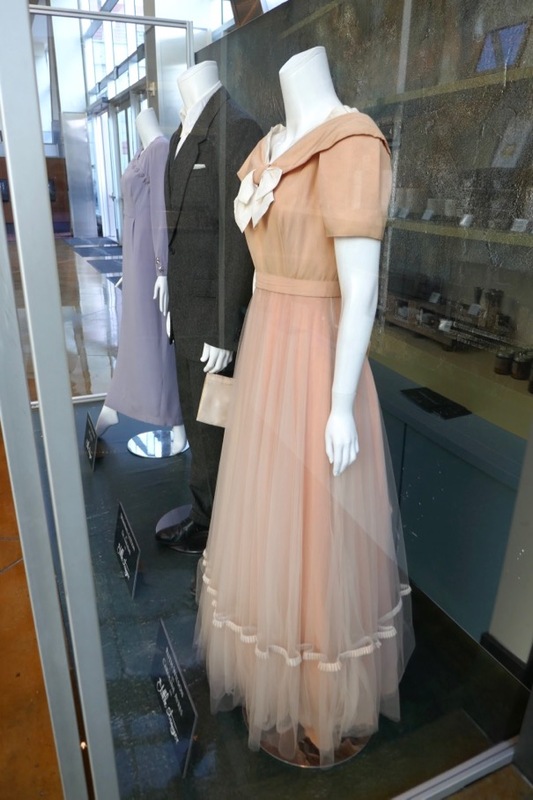 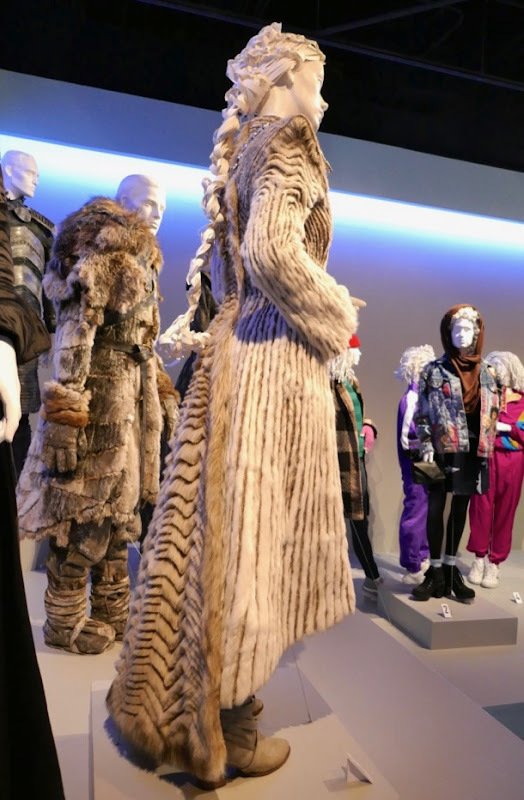 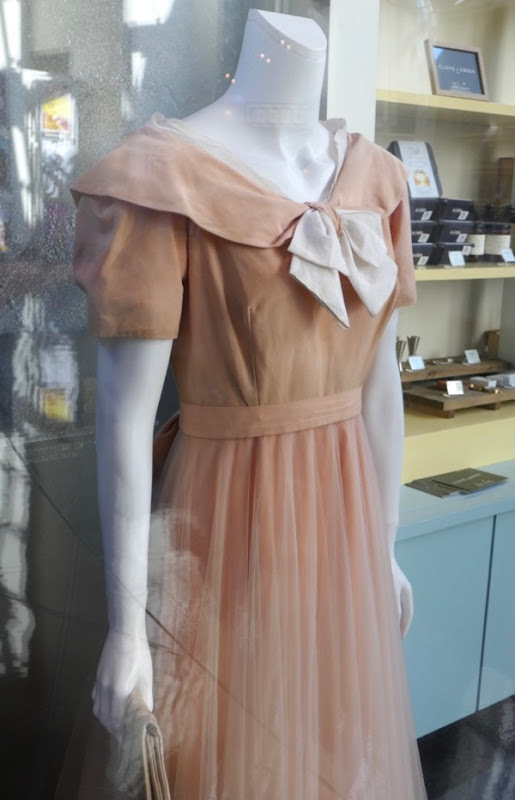 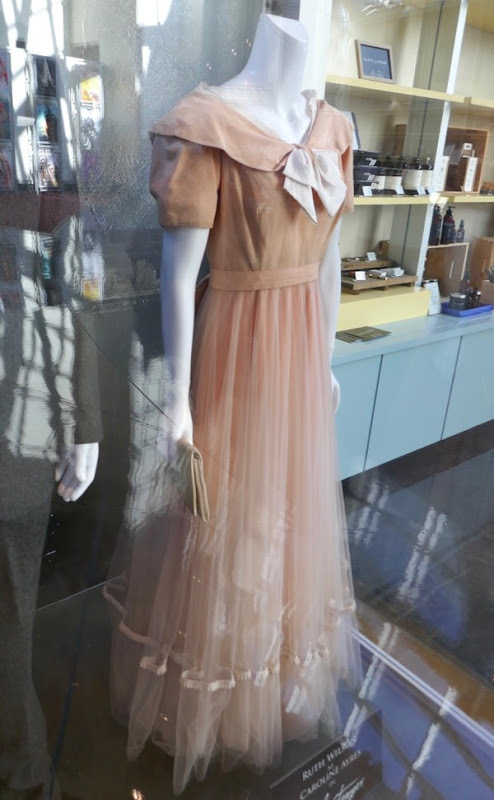 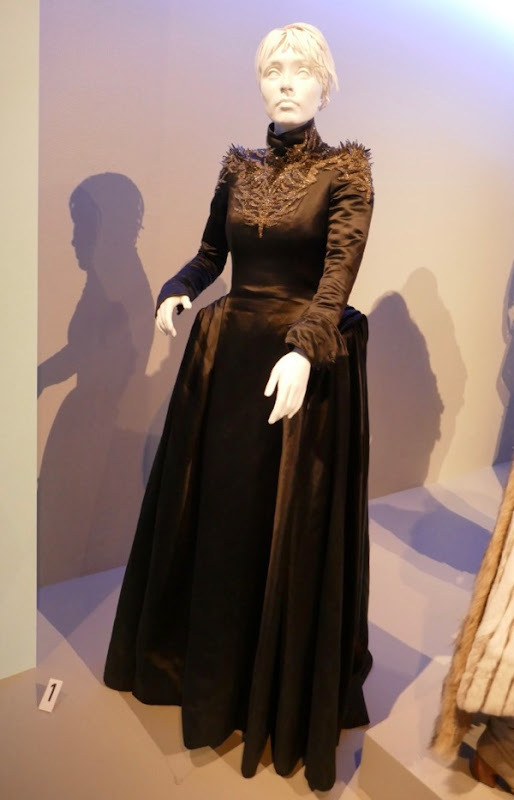 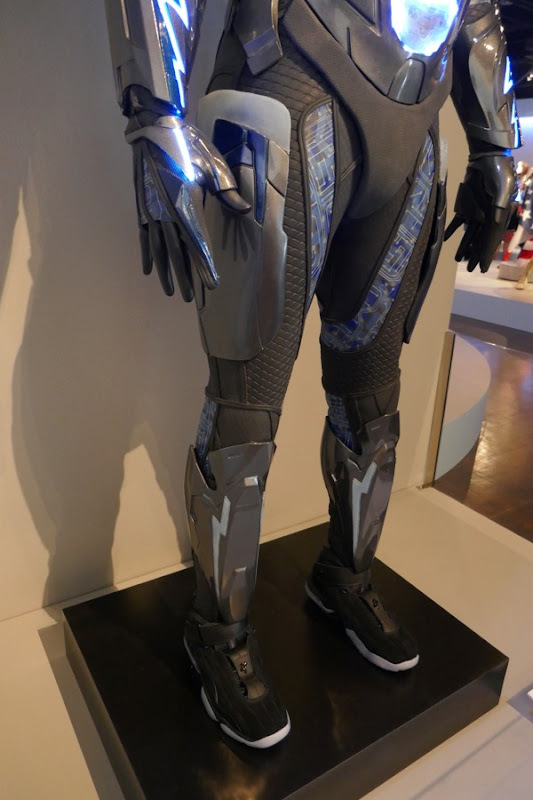 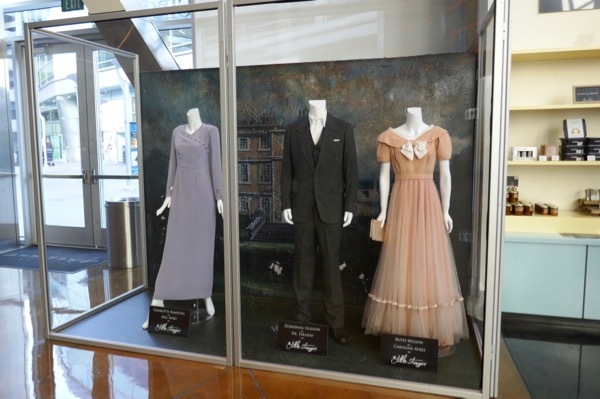 Plus stay tuned in the coming days for more science fiction and fantasy wardrobes on display at this TV exhibition, including costumes from Game of Thrones, Star Trek: Discovery, The Orville, A Series of Unfortunate Events, Westworld and more besides. 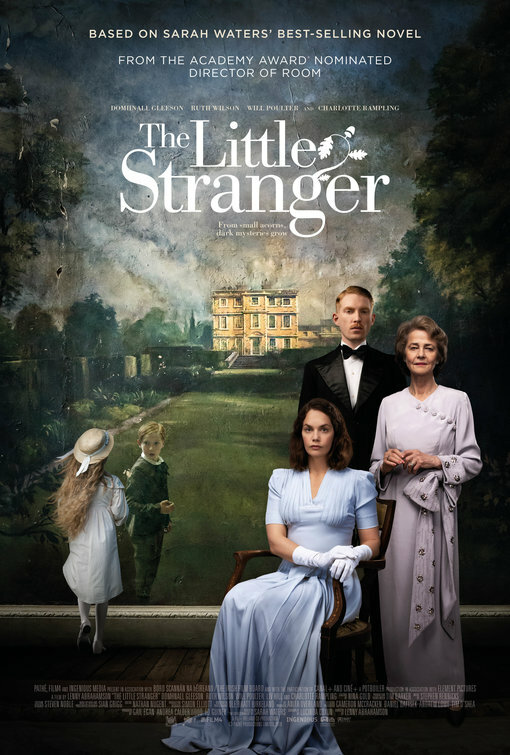 In the cinematic adaptation of Sarah Waters 2009 gothic horror ghost story, The Little Stranger, Domhnall Gleeson plays 'Dr. 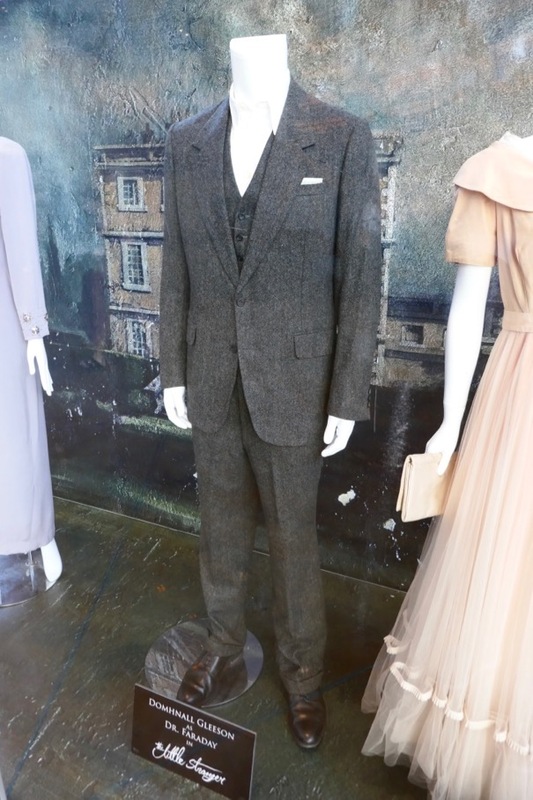 Faraday', a country doctor who tends to a patient at Hundreds Hall in the English summer of 1947. 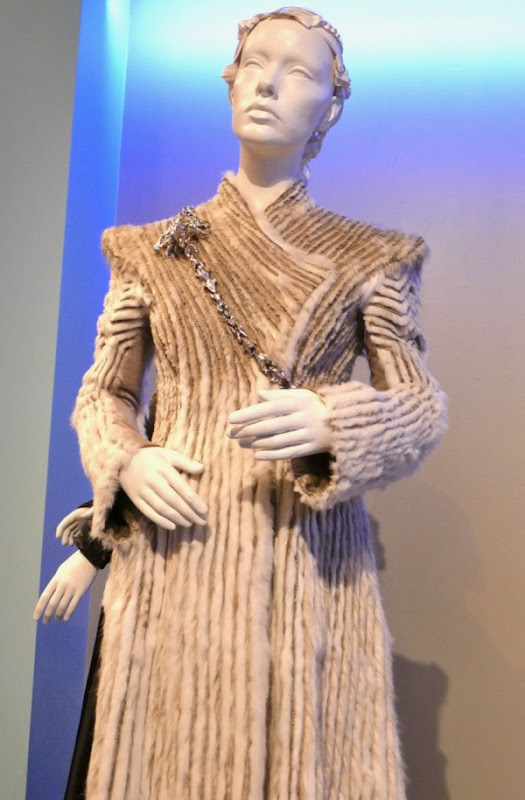 Charlotte Rampling's 'Mrs. 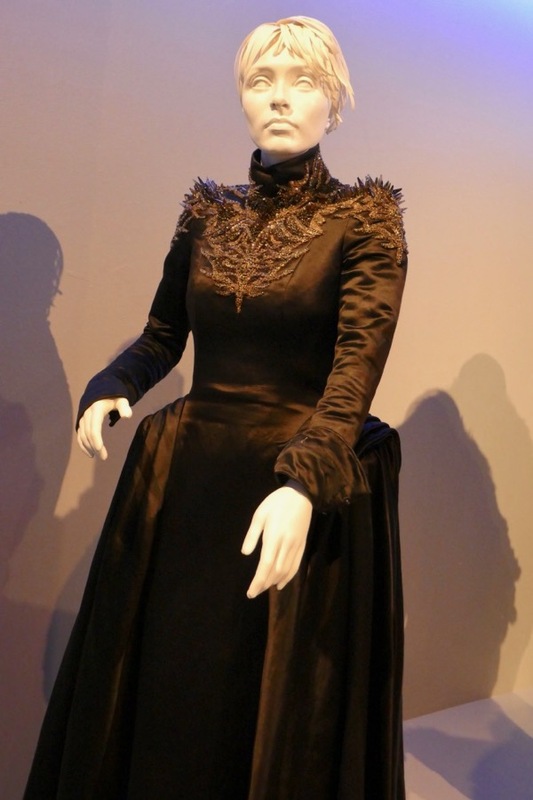 Ayres' lives in the crumbling manor house with her two children (played by Ruth Wilson and Will Poulter) and when the doctor calls, strange things start to happen. 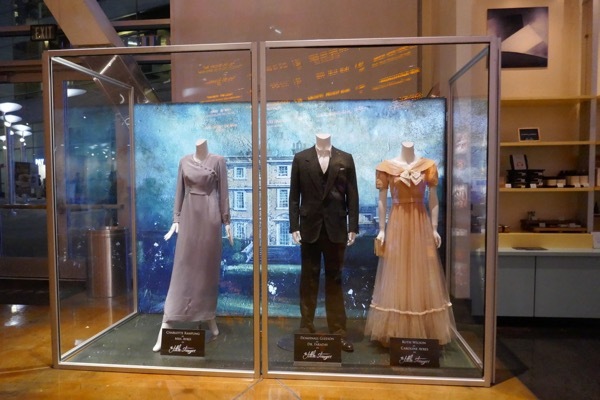 These screen-worn costumes from the film by Lenny Abrahamson were photographed on display at ArcLight Hollywood cinema on August 18, 2018. 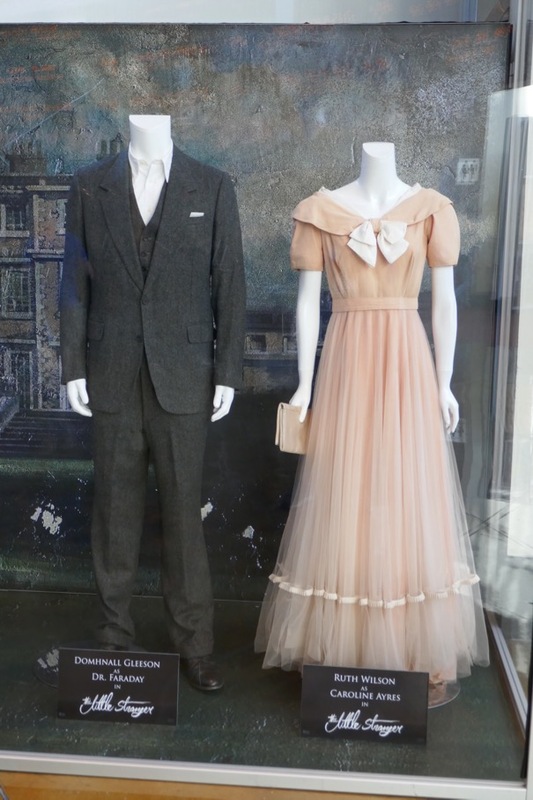 Steven Noble was Costume Designer on the supernatural mystery thriller and you can also see his work with these costumes from The Theory of Everything. 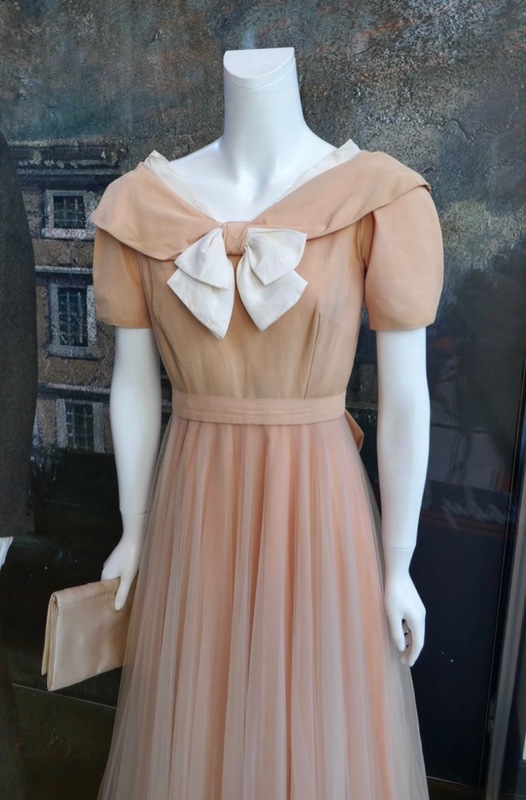 Dr. Faraday's mother once worked at the manor house as a maid, and he becomes romantically entangled with 'Caroline Ayers' when treating her war wounded brother 'Roddy'. 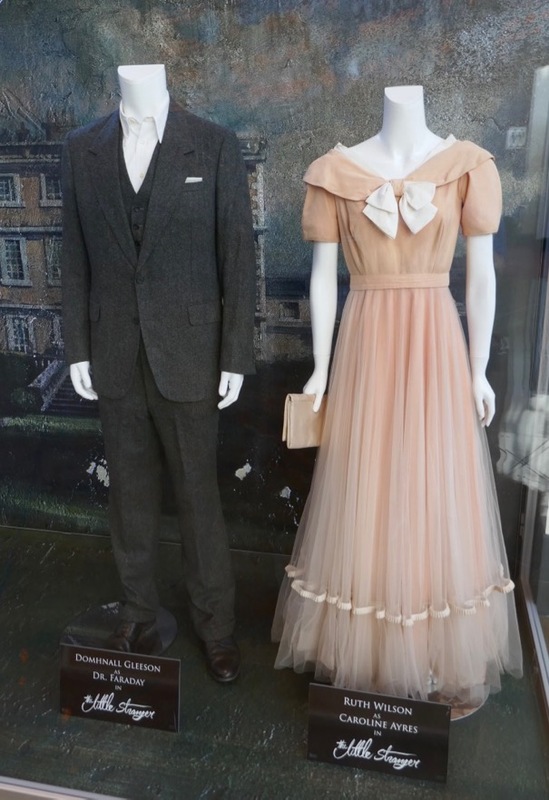 Fans of the Domhnall Gleeson can also check out his film costume from Goodbye Christopher Robin and his movie costume from The Revenant. 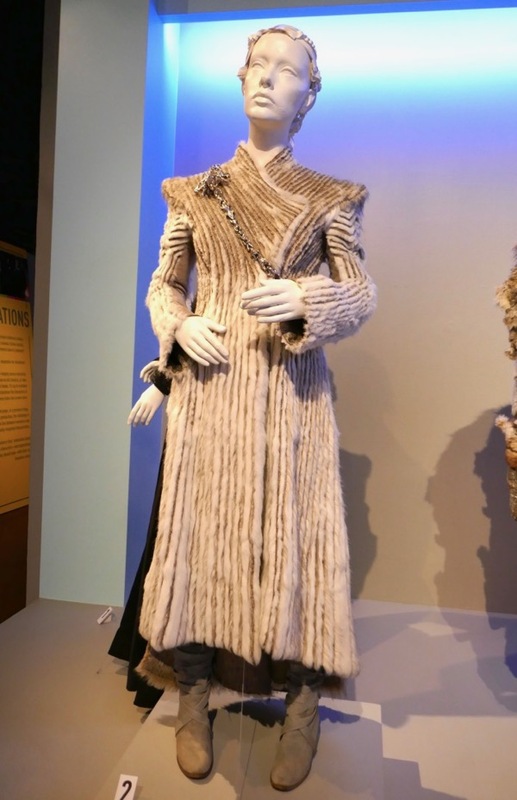 Oscar-nominee Charlotte Rampling plays the mother of Caroline and Roddy, 'Mrs. 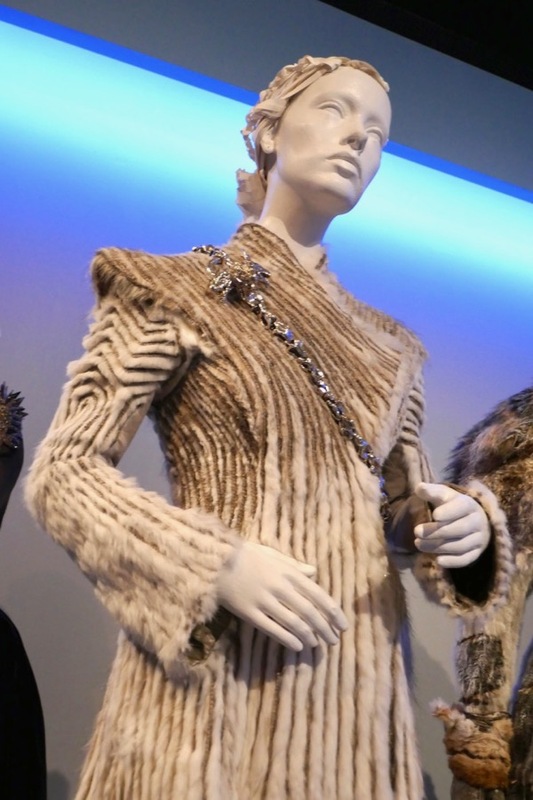 Angela Ayers'. 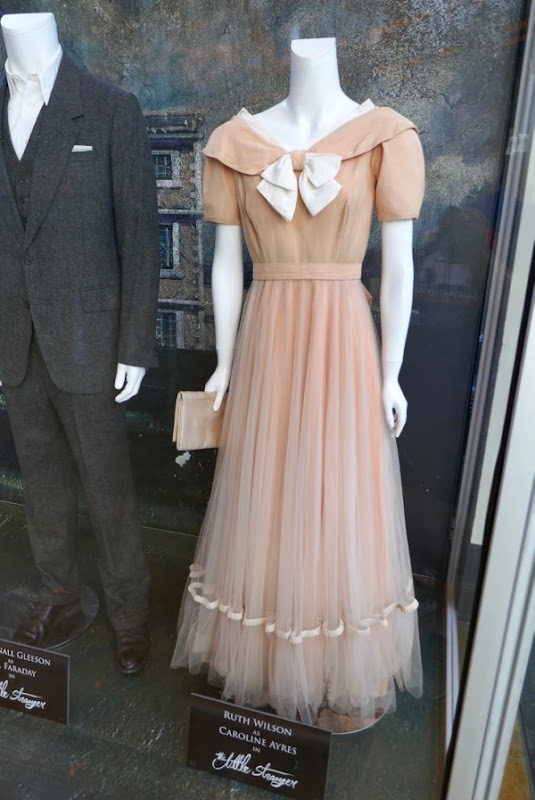 From the looks of this dress and the theatrical poster, there may be a giant bow missing from it, unless it's a different costume entirely.